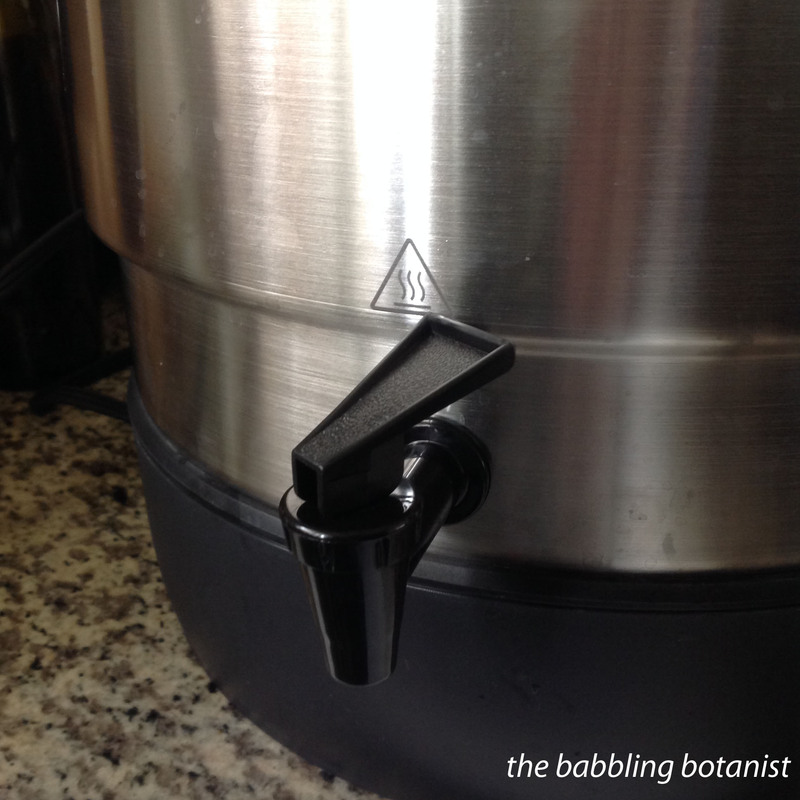 I am super excited that my new electric water bath canner is here and I get to tell you all about it! You heard it here first people! If you haven’t seen this yet, Ball just came out with this new product, the FreshTech Electric Water Bath Canner. I got mine yesterday via preorder, and they are now in stock on amazon! 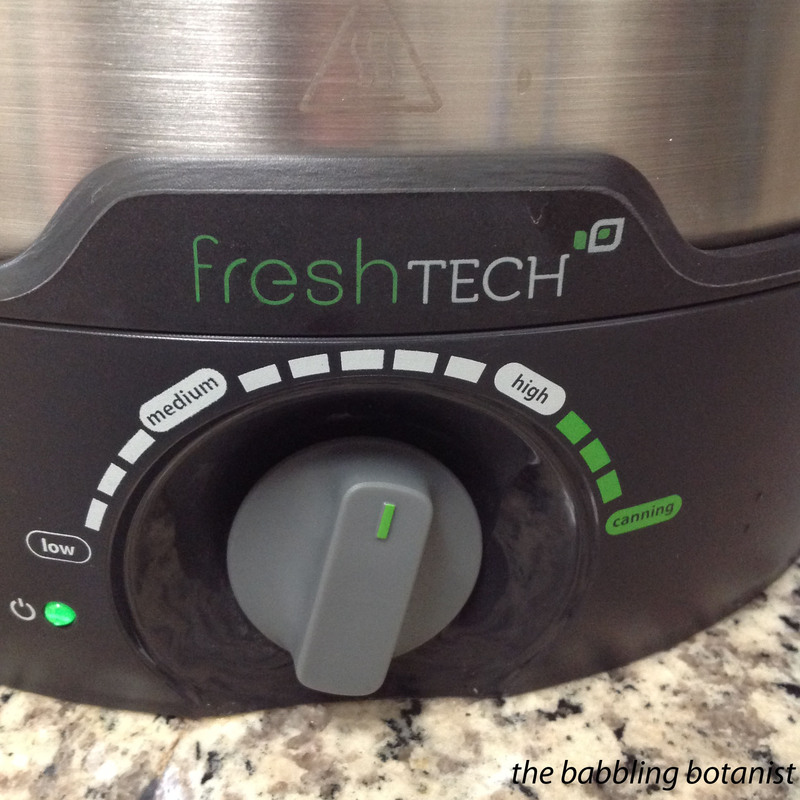 Now, this is not to be confused with their other electric canner the Ball freshTECH Automatic Home Canning System, which in my opinion (although I actually haven’t used it), is not nearly as exciting of a product. It’s got half the capacity and is twice the price. And you’re restricted in many ways by their recipes. No thank you. But that’s not what we’re here for. 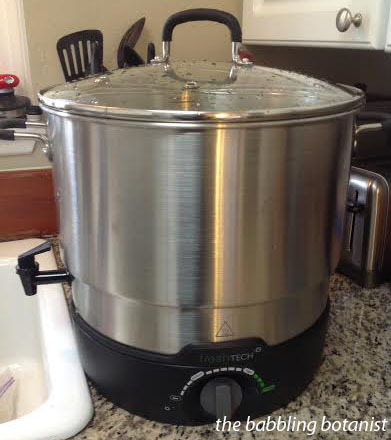 So, let’s talk about this new electric water bath canner. Full disclosure, yes, if you buy it through the link above I will make a few bucks, but this is my honest to goodness review of the product. Yes, it has some obvious pros, but I had a few other things in mind I also wanted to test, and I wanted to make some comparisons between it and a regular water bath canner, and also the Weck water bath canner (which I have not successfully been able to find for sale, but if you can it’s typically more expensive than the Ball one by nearly double). So those things are all well and good, but there are a few other things I was curious about. For one, I wanted to know if it heats up as fast as the canner does on the burner. Sadly, the short answer is no. But I’m not terribly upset about it, because I’ll just get it going sooner than I would the normal water bath canner. If you’re interested though, this is what I did. I filled each canner with jars, 95 F water, and turned them to high. My canner on the burner was at a full rolling boil in 36 minutes and the Ball canner took a full 57 minutes. So I was a bit bummed by that. Then I reread the instructions and they said that you were supposed to put the “steaming rack” (pictured below) on top of the jars and that actually helped it boil faster. Hmm OK if you say so, let’s try that. So I decided to try from “raw pack” temperature (140 F) to boil, and see how long that took, since I wasn’t spending another hour on this test. Luckily, I had also recorded the temperatures at 5 minute increments in run one so could compare. This time it took the burner canner 22 minutes and the Ball canner 36 minutes to go from 140 F to a full rolling boil. In comparison 140 to boil took 39 minutes without the “steaming rack” in there. Not sure that’s significantly better but I guess in theory it could help a bit. If you are hot packing (which I usually am), your water is around 180 F to begin with. To compare there, the burner canner went from 180 F to boil in 12 minutes, and the Ball canner too 21 minutes. So, take it or leave it, at least compared to my burner, the Ball was slower. However, if you have gas or a flat top range, I can’t be sure how it will compare. One time I canned on my neighbours flat top range and it took FOREVER to boil. My next question was: can I maintain a specific temperature? Most specifically I wanted to know whether I could maintain 180-185 F for low temperature pasteurization of pickles. More on that here. I was a bit bummed that they weren’t actual temperatures on there, but if it maintains something pretty constant that’s OK in my books too. So I tested what it maintains at low, medium, and high (the canning setting is for a full boil), and I tested if I could get it to maintain 180 F easily. This experiment I’m pretty pleased with. For my unit (of course yours could differ), it maintains temperatures of 120 – 125 F at low, 145 – 150 F at medium, and 190 – 195 F at high. I was able to maintain 180 F about one and a half “ticks” below high, as in the picture below. Of course, I’m at sea level and other things could affect where your 180 F is, but this is going to make low temp pickling AWESOME. Big win on this one I’d say. You certainly still need a thermometer to be sure of the temperature, but this was so much easier than finagling with the burner setting. It can be very easy to overshoot 185 on the burner, which kind of defeats the purpose of low temp processing. The beauty of this canner is the heat turns off and on to maintain the temperature. You can hear it come on too, so if you were trying to find 180 you could easily turn it to high, and then turn it down when you were getting close. You’d hear the burner turn on and off so you could find that sweet spot. So excited for pickling now! Another thing I was happy with was capacity. Like I mentioned, the other Ball autocanner has quite a small capacity. They list this one as 8 pints or 7 quarts, and they do mention in the manual that you can fit more than 8 pints, but they call the capacity 8 to allow for adequate water circulation around the jars. Pictured below I have 10 pints in there, and they didn’t seem super snug, so take it or leave it. I think that I will can with 9 in there on occasion – if I can fit 10, I’d say 9 have adequate circulation. It’s partially the nub from the spigot that’s the issue. The Weck does fit more, but like I said, good luck finding it, and it’s more $$. Overall, despite the slower heating time, I am happy with the purchase of this canner. I think that heating time may be the only real downside. The only other thing was that the rack on the bottom seemed like it could have been a tiny bit larger, but perhaps that would have made it harder to fit it past the nub for the spout. Not sure. But especially for me having a small kitchen, it’s going to be awesome to not have the canner on the stove. Or if I’m doing huge batches I can have one on the stove, rather than two. I may even use it on the kitchen table, and although that means I still have to lift it to the sink, I could drain some water into a pot or something, and I think it will be worth it. Thanks Ball, good invention, I’ve been waiting for something like this! Think you’ll ditch your old canner for an electric one? Any burning questions about it before you invest? I am happy to answer. ← To start seeds or to buy starts? Sorry – but I don’t see adding to kitchen appliances. Prefer instead to stick to basics that can handle a multiple of uses. If you need a fifth burner (and I did), I suggest a butane burner (amazing high heat, cheap fuel (about $10 for 4 canisters) & burner can be had for only about $30.00) or the more expensive induction burner (also high heat but pricey). I like the butane burner as safe for indoors but easily transported outdoors for tailgate, picnic, outdoor canning. And no plug needed (your canner needs that!). Electric is generally more expensive than gas. I could be wrong on this since I’m not up on current prices. Buy a large stockpot and then you can use it easily for much more than canning. Buy a silicone trivet for the bottom and it’ll never wear out contrary to the grates that come with traditional canners. Just my thoughts after canning for 40 years. I like green – additional electric appliances aren’t so much! Thanks for the comment Lyn! I do like green as well for sure, but don’t really see this as less green than a butane burner, which I’d have to keep buying refills for and disposing of them (not terribly green). I’ve also heard mixed reviews on whether the smaller ones are really rated for the weight of a canner, although I know many people do use them for canning. I know that the ones we have for the master food preserver program here are not designed for that much weight, so we use them for cooking only. I do also plan to use this for more than canning, it’ll be great for making stock and I’m excited for the low temperature pasteurization aspect as well. Thanks again for your comment, I definitely agree with being green which is why I can in the first place. Happy canning! I really appreciate your detailed description of your new Ball canning appliance. Think I would like one, providing the price isn’t too steep. I would appreciate your recipe for dill pickles. The only one I have success with is a very old one I got from my ex mother-in-law but mine have never turned out as good as hers. Even so they are still better than store bought. Ya to me $150 seemed reasonable compared to their other products. I’m hoping it lasts and lasts! I’ve linked to my pickle recipe in the post – basically I’ve found the key to the crunchiness to be the low temp pasteurization. I wonder how long the pot is expected to last – electrical appliances don’t necessarily last that long and that’s a steep price. Meanwhile, both my hot water bath canning pots are well over 20 years old and going strong. I got one as well, and I LOVE IT. 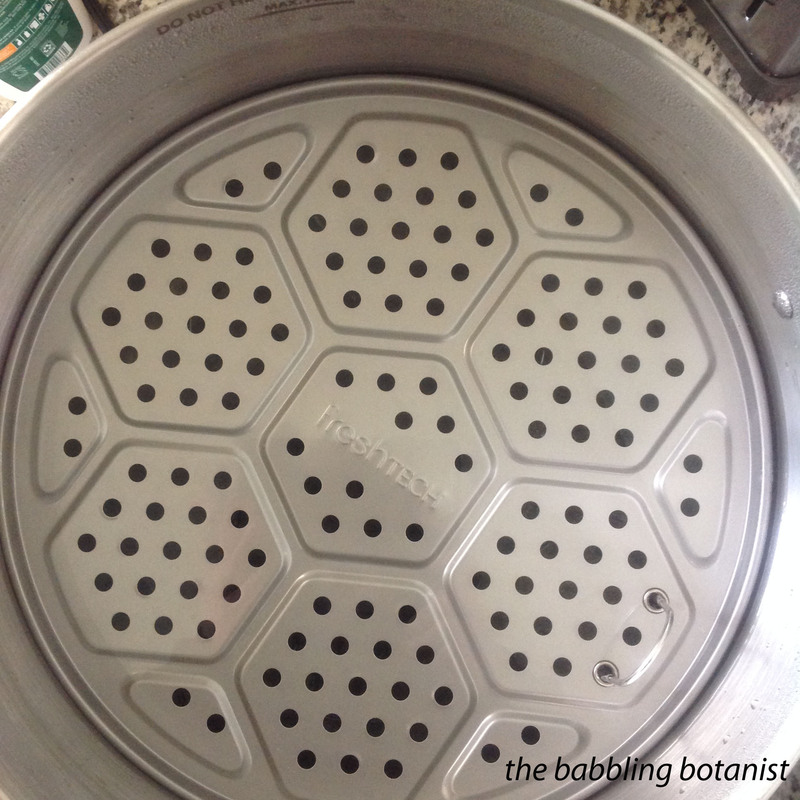 So excited for the canning, but also really like the fact that I can use it as a drink dispenser during summer parties, use it for large pots of soup…and it frees up the burner on my (glass top) stove. I didn’t buy any of the other FreshTech stuff because they seemed more like one-use-only appliances. This? I’m keeping it! Totally agree Beth, thanks for the comment! I like the idea of this because I’m usually canning with kids around and not having to have the gas burner on the stove for long periods is very appealing. Does it require babysitting? Once you figure it out can you set your timer and work on other things or is there a constant threat of boiling over, etc? No I don’t think it will require much babysitting, or boil over, but I haven’t done quarts yet. Can you take one batch out of the canner and start another one or do you need to drain and start all over again? 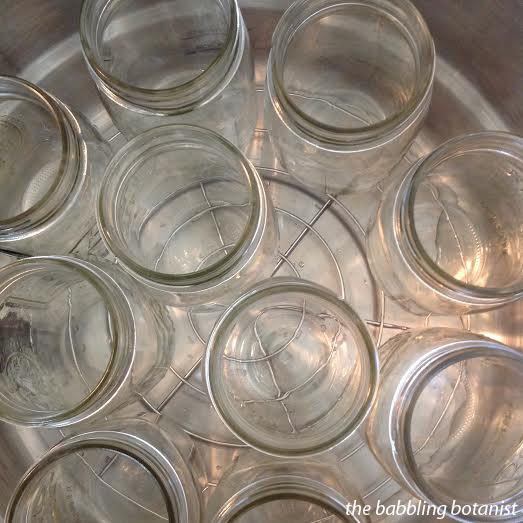 Just like regular hot water bath canning you can reuse the water if it’s not too grungy. I usually just add a bit more cold water to make up for boiled off water and to cool it off a bit since you’re supposed to hot pack at 180 F and cold pack at 140 F.
Can the pretty little jelly jars be placed in this canner, I have the pints, half pints and the 1/4 pints? I’m canning applesauce at this minute. This heats up lots faster than my steamer on the glass top though I haven’t had any trouble with it, it just seems to take sooo long. I love this new canner. Did pears last month. I hope it lasts a long time! Is it OK if the jars touch the outside of the pan? Awesome! Yes if they are touching a bit that’s ok, so long as there is still room enough for the water to boil rapidly around them. Thanks for the review! I actually have access to a Weck electric canner. It’s circa 1995 and holds 8 quart jars at a time and can handle many smaller jars with a rack in between rows (make sure you have proper water levels). It takes approximately 50 minutes to go from cold water to 170° F and hold its heat well. It has a temperature dial and indicator light turns off when temperature is reached. And since it comes from outside the US, prepare to pay a huge shipping fee unless you luck out and find it second hand. Thanks again! After I posted this I did some research and weckonline.com (which send to be newer) had their canners on sale! So even with shipping for not very much more you could get a Weck canner, even with shipping. But it is in Euros so the closer the exchange rate, the better. I am currently researching electric water bath canners since I am preparing to be certified to sell my jams, chutneys, and pickles. I will be renting the kitchen of a local coffee house, so I really want to have a way to maximize the time I spend there. The stove in this kitchen is a regular sized electric model, so the extra space would really help too. Thank you for such a clear and thorough review. I did not see where to buy this or what the cost is and are you saying that this is not the Ball fresh Tec but just called the electric water bath canner?